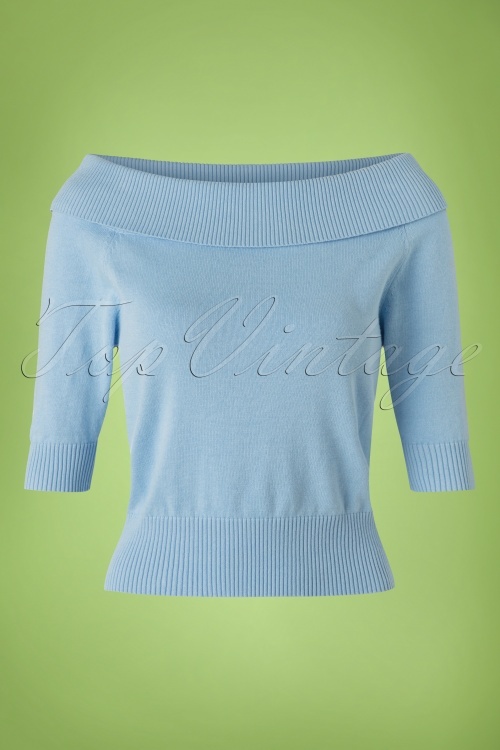 The 50s Bridgette Knitted Top is super feminine! Simple, classy and incredible chic! 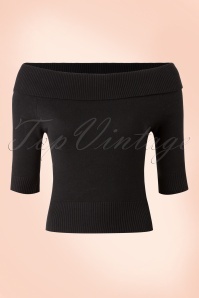 The top features a beautiful boat neck and a gorgeous fold over collar. 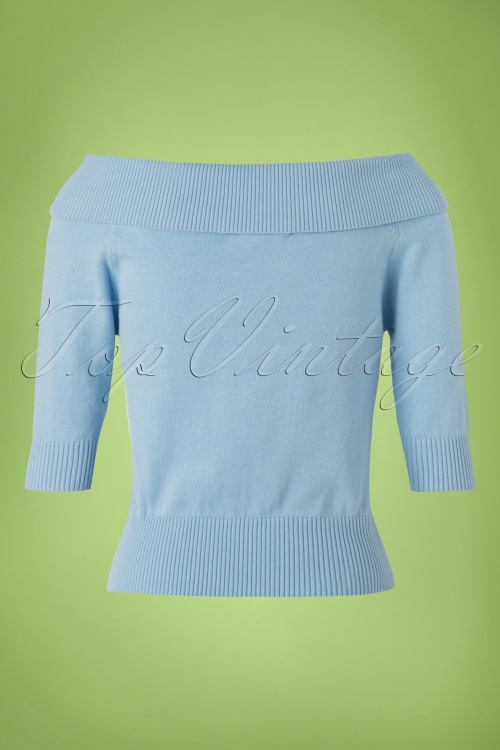 Made from fine knitted, stretchy lavender blue cotton which is a joy to wear and finished off with ribboard for a perfect fit. 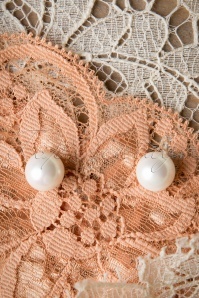 Match this beauty with high waist trousers or skirts and create a stunning hourglass silhouette, oh la la! 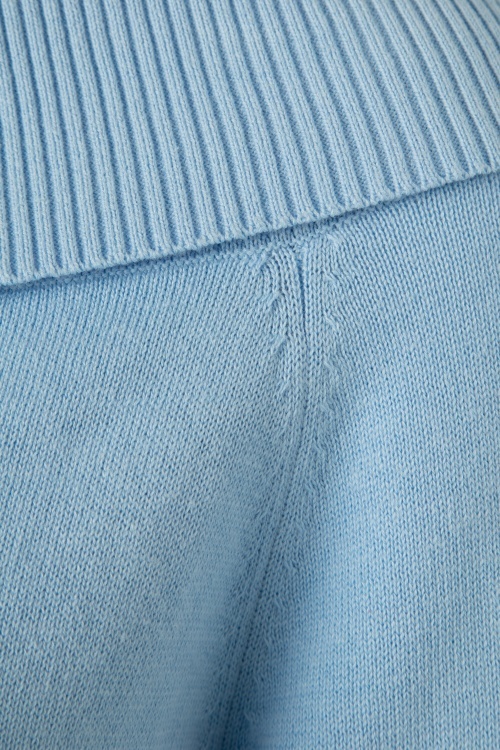 Petit pull tout doux style bardot Le bleu est très joli. Le retombé aussi. Il n'y avait plus ma taille donc j'ai du prendre une taille au dessus mais il me va bien sans être près du corps du coup. Je le recommande. Il est confortable.